We will no longer be serving from a truck, but we are excited to grow the food truck consulting/event coordination side of our business. Through foodtruckadvisors.com and events like @UncurbedDC, we will reach an even larger audience across the spectrum of truck concepts. We will continue to push the envelope with new and innovative ways for food trucks to activate space and add vibrancy to the DC Area and beyond. The truck and the Eat Wonky brand will be separate. 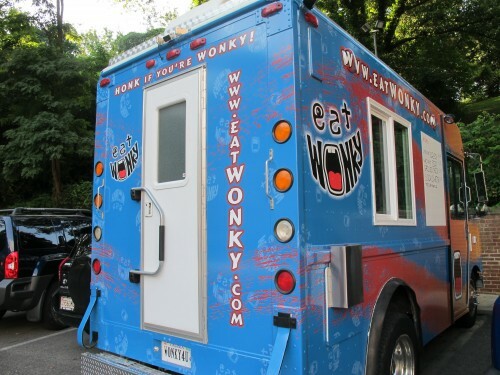 A third party acquired the Eat Wonky brand, though we are not supposed to comment on terms of the deal per our agreement. We can say that they are very capable folks and we are confident that whatever they do will rock! The truck will be going to a great group of passionate, fun, and engaging folks at @BayouBros (BayouBros.com). We judged Eat Wonky back in Aug. 2010 and The 5 Second Review tasted the poutine back in Oct. 2011. You can see their menu here.